The Reliance refinery at Jamnagar in India is one of the largest single refinery sites in the world and virtually all of its valves are motorised with Rotork actuators. Almost 3000 Rotork IQ intelligent valve actuators were installed during the construction of the original refinery, tank farm and power station in the late 1990s, together with a Rotork Pakscan 2E two-wire digital control package comprising fifty separate master station and bus loop networks, making it the largest Pakscan site in the world. 2008 witnessed the completion of the Reliance Expansion Project at Jamnagar and here again over 1800 Rotork IQ actuators have been installed with thirty-seven of the latest Pakscan P3 master stations. Mike Howard, Rotork's senior control and instrumentation engineer, has been involved with the Reliance project from the earliest days. He describes how features of Rotork's IQ intelligent actuation and Pakscan technologies were especially attractive to the instrumentation designers of the original refinery and how enhanced actuator and Pakscan control functionality for the operation and maintenance of the refinery were important considerations for selecting Rotork for the Expansion Project. During the initial construction stages in 1997 Rotork was selected as the sole supplier of electric actuators. Rotork was the only actuator manufacturer to offer "non-intrusive" cable-less setting, commissioning and data transfer technologies with actuators that were already proven in the international petrochemical industries. The IQ intelligent actuator had pioneered "non-intrusive" data communication by means of an infra-red link to a hand held setting tool when launched in 1993. By 1997 it was well established as Rotork's flagship product, accounting for the majority of the company's worldwide electric actuator sales. "With Pakscan, we already had a long track record. The original Pakscan two-wire control system was launched in 1986, whilst the Pakscan 2E ordered by Reliance was the third generation version, which had been in production for five years and therefore had an extensive end user reference list unmatched by the other systems available in the marketplace. 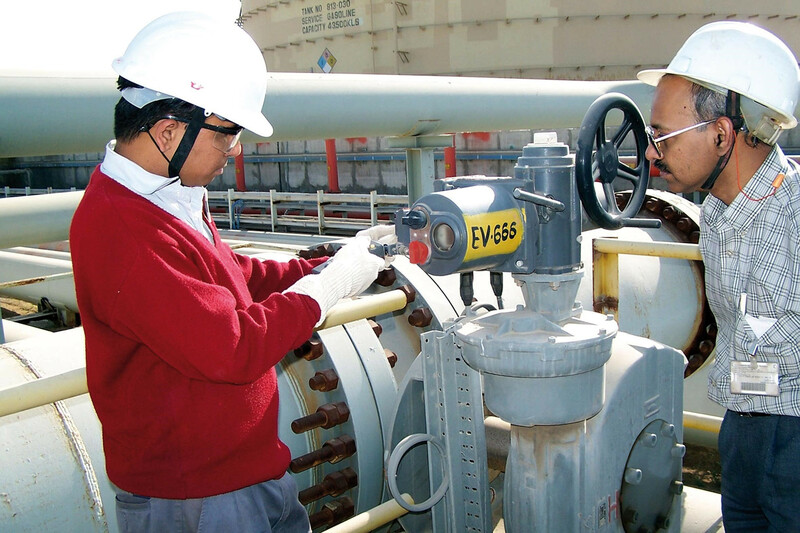 "Reliance also recognised that Pakscan provided them with a digital control system designed specifically for valve actuators and has actuator focused features that are unavailable from other designs. For example, the capacity for up to 240 actuators on a fault tolerant field network that can be up to twenty kilometres long without repeaters is an important reliability and economic consideration in the spacious environments of refineries and tank farms. Repeaters require separate power supplies, can slow the data transmission speed and introduce a single point of failure. The failure of a repeater will of course result in the loss of communication with all downstream field units. "Pakscan provides dual host communication paths as standard with the ability to isolate any field based fault without interrupting communication with other units on the loop. In fact Pakscan's configuration provides built-in redundancy in every area - from the valve to the control room - ensuring that vital information for the host DCS on valve position, status and condition is as secure and available as possible. "By 1997, Pakscan had already successfully achieved host interoperability with all the major DCS vendors, including Honeywell, Allen Bradley, ABB, Yokogawa and Foxboro, giving Reliance added confidence. 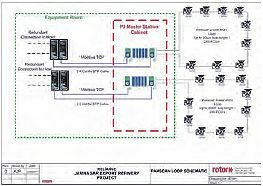 Pakscan uses the same Modbus communication protocol as used by Foxboro, whose Intelligent Automation (IA) system was subsequently introduced at the site." The Reliance Jamnagar refinery came on stream on target in 2000 as the world's largest grassroots refinery with a production capacity of 33 million tonnes per annum. 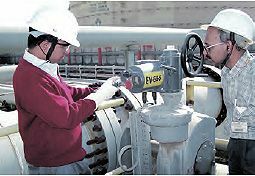 The passage of time between the commissioning of the original Jamnagar refinery and the construction of a second grassroots refinery on the adjacent site was brief, but during this period Rotork launched new generations of both the IQ actuators and the Pakscan two-wire control systems which were ordered for the new refinery. In both cases, improvements had been made to the functionality and user-friendliness of the equipment in order to facilitate an increased level of asset management and reduced plant maintenance. The IQPro, Rotork's third generation "non-intrusive" intelligent design, includes the IQT direct drive quarter-turn version providing a more compact solution for the motorisation of ball, butterfly and plug valves. All IQPro actuators are equipped with a data logger to record historical operating data and valve torque profiles. This data can be extracted from the actuator and analysed on a PC running Rotork IQ-Insight software to quickly evaluate operational issues and valve performance. Effective asset management programmes can be implemented and unexpected plant interruptions minimised. Rotork's "non-intrusive" infra-red data communication technology was also further developed with the IQPro by the introduction of bidirectional communication between the actuator and the hand held setting tool. The tool enables actuator configuration data to be retrieved and retransmitted to other actuators, with the potential to save immense amounts of time when many valves require near identical commissioning settings. Up to ten configuration files and four data logger files can be downloaded and stored in the IQ Pro setting tool at a communication speed between actuator and setting tool that is ten times faster than before. Radically enhanced communication capacity is also one of the features of the Pakscan P3, Rotork's fourth generation two-wire control system. Thirty-seven Pakscan P3 master stations were ordered to monitor and control the majority of the IQ and IQT actuators that were installed, once again linked to a Foxboro IA host system. Mike Howard explains: "The Pakscan P3 introduced substantial upstream information improvements, including Ethernet connectivity, a built-in secure web server and time synchronisation, together with data logging of host messages, field unit commands and changes in status with email notification of alarm conditions. Master station host communications have been enhanced to include two serial ports, two Ethernet host ports and an additional Ethernet configuration port. Using Ethernet, up to ten hosts can be simultaneously communicating with the master station. "Modbus TCP protocol has been added to facilitate Ethernet communications, whilst the web browser provides access to all data from the master station and the field control units at near-instantaneous speeds using standard web pages. This data includes field diagnostics, enabling the maintenance team to identify any fault at the office desk, rather than in the field, whilst automatic email generation for alarm conditions can also be configured to give the maintenance department immediate warning of master station problems. "Logging of host messages, including the originating command source together with time and date information and the master station replies, enables full traceability of events, which is available from the web browser or the HMI on the master station itself. All these functions are protected by a high level of security, enabling access to the system to be restricted by both the host port and the IP source address." The new Pakscan P3 master station has introduced a graphical colour display with icons to represent the menus and settings, which on some screens are supplemented by text messages that are constantly updated. Navigation is by a simple set of push buttons. The Pakscan P3 master station retains all the features of the 2E version and is fully compatible with previous installations. The P3 adds acyclic data capabilities, enabling field control units to be parameterised via the master station, and an improved loop communications protocol, whereby multiple commands to the same device are only sent once, reducing bus traffic and increasing system response. The Reliance contract is one of the most significant single orders for the new Pakscan P3 control system, which is proving to be a very popular and reliable Rotork product, particularly in the oil, gas and petrochemical industries. An increasing proportion of electric and fluid power actuators are now specified with Pakscan P3 systems.